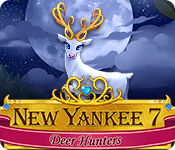 New Yankee 7: Deer Hunters is rated 4.5 out of 5 by 18. Rated 5 out of 5 by xarah78 from Excellent This is by far my favorite of the series. Rated 5 out of 5 by HarleyPup from Love this Game I have not bought any of the New Yankee games since I played New Yankee in King Arthur's Court 4 & New Yankee in Santa's Service. I disliked both those games immensely. I love New Yankee 7, so I went back and bought the others. I love them all. 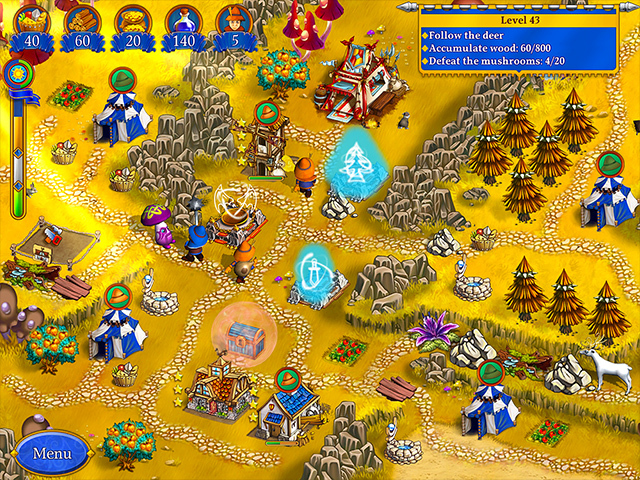 I still do not like the 2 listed above, I cannot get enough resources to keep the monsters at bay. I went back and tried them after playing the new ones I bought. Still hated New Yankee in Santa's Service but could at least finish the New Yankee in King Arthur's Court 4. Rated 5 out of 5 by NoNamePlez from Fun Game I am "picky" about Time Management games. I generally play on Casual or "Fun" levels. I enjoy this game. Try the free trial and you may buy it too. Rated 5 out of 5 by sonje123 from LOVE LOVE! Just love this series, keep them coming. I get so excited when I see a New Yankee game! This one was the best love the graphics. Rated 5 out of 5 by Momma_Llama from Go Yankees! More fun from the Yankees! I haven't finished this game yet, but I can already say with certainty that it's right up there with the others. Tons of fun! Rated 5 out of 5 by Atums from Best of the series I enjoy this series immensely and was delighted to purchase this new one sight unseen. This has been the most difficult one yet. I really had to strategize, even on the relaxed play. The puzzle pieces are not easy to find, so I ended up replaying some of the levels. (To be truthful, in all of the tasks that needed to be done, I forgot to look for them on some of the levels.) Things have changed quite a lot, so you really have to pay attention to each level, before you start to play. I got myself in a corner once or twice and had to restart. Well done! Rated 5 out of 5 by plat1098 from Sold! Well it took a while for me to warm up to this series, because it's not merely challenging, it can get downright HARD. But this one is so well done and of good quality, the challenge is there so how could I resist? New means of getting resources and other other elements but with the same crew in awesome 3D, same Max the 3D bulldog (good boy!). Still getting the feel of it in Normal mode--there's also Expert and Relaxed and the ability to turn off Hints in the Options section. Bunnies hop, trees sway and butterflies flutter in the magical backgrounds. You can click ahead task-wise and change your mind later with a right-click. Oh yeah, certain bad guys are back too, enough said. Have to examine the tasks and their costs and plan ahead at times; this definitely has strategy at its roots, which may not appeal to all. A quality resource management game I snapped up almost immediately. Glad I did, too. Rated 5 out of 5 by JeansLady1 from My second New Yankee I have one other New Yankee game and thoroughly enjoyed it, so I was delighted to see another one become available. 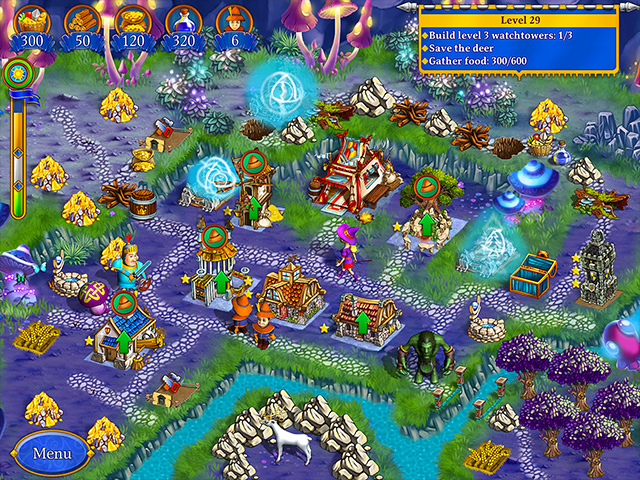 The graphics are terrific and there is a good mix of the familiar and new features. There's a good variety of things to do and fun characters to work with. 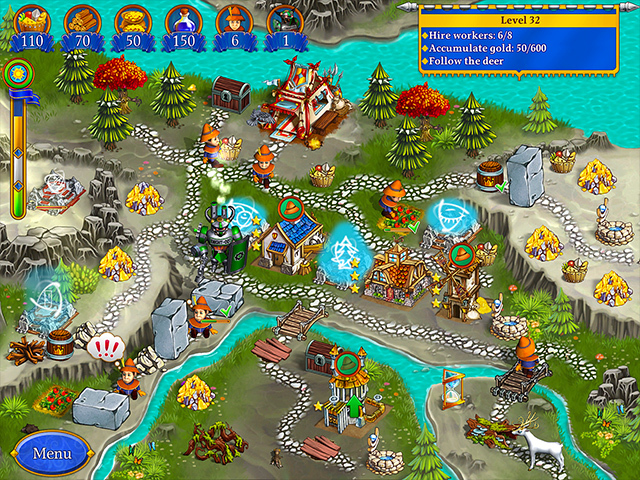 The choice of bonuses and the mini-games are great features, too. I'm still laughing at the sound the workers make when they run into the "baddies." It hasn't gotten old yet. I'm also glad that this TM goesn't have as much chatter by the workers as some other TM games do. The repetitive sounds get old really fast, so I'm glad these workers are mostly mum. This is a thoroughly enjoyable TM game experience. Rated 5 out of 5 by swankme from Love It! I love this series it's never disappointing. The new whimsical set is refreshing and I can't wait to get through the rest of this game. I only played 10 min and I am sold. It is nice not to have to wait for the Standard Version either tks for that. Ok I am going to get back to the game TTFN.